National Teen Ministries hosts summer camp for teenagers the last week of June every year. 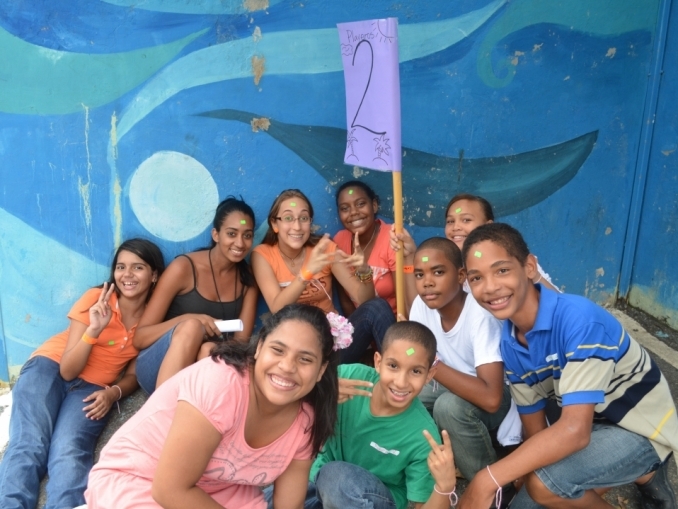 We welcome teenagers from all corners of the Dominican Republic for 4 days of excitement. Camp is always a time for the teenager to experience God in a personal way -- whether for the first time in his life, or whether he has known Christ for years. We focus the teaching times on practical areas of teenage life in which they need better wisdom and tools for success in God's eyes. All the students are networked into small groups for the week. They form a family-type bond with their small group, which allows for an open discussion of spiritual and practical issues. Students are able to ask their questions in a safe environment, receive Godly counsel from experienced leaders (and even from fellow teens), and are able to encourage each other to be a revolutionary for Christ. Often during the final small group setting at camp, students share testimony of having received salvation, the Baptism in the Holy Spirit as well as physical healing during the week of camp! It is also possible to scholarship a student's camp registration (approximately $35), making it possible for some to attend who would not be able to do so without help. Please contact jamie@bellos.org if you would like to scholarship a student(s) for camp.